High-quality. Efficient. Innovative. 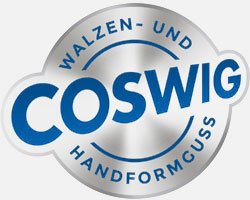 Since its foundation more than 100 years ago, Walzengießerei Coswig GmbH has been offering products that customers across the world trust. Today, we supply rollings to more than 25 countries in four continents. Especially in the field of hand moulded castings, the foundry in the printing machine industry is constantly stepping into new business areas, especially the futuristic branches of wind energy plant construction, granulator and machine construction as well as energy technology. With highly qualified and motivated employees, state-of-the-art production and information technology and production that is environment-friendly at all levels, Walzengießerei Coswig GmbH together with its customers overcomes the greatest challenges – now and in future.